Forget the virtual world and reconnect with reality. Just click on each activity to find out more. 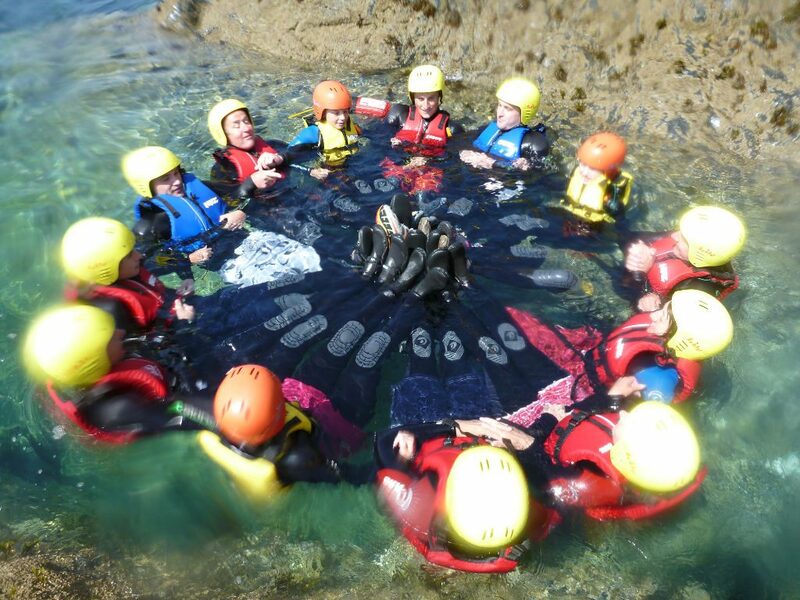 All ability levels from age 8 upwards are welcome to join the fun, plus children of all ages can enjoy survival skills. Explore along the coastline where the sea meets the cliff. Scramble around the headland, go into a cave, time your passage through gaps, try to stay on rocks as waves wash over you, swim to islands and, of course, jump off cliffs! Glide through emerald seas to explore hidden bays and caves. Learn about the local wildlife and natural history, as you view the coast from a completely different perspective. 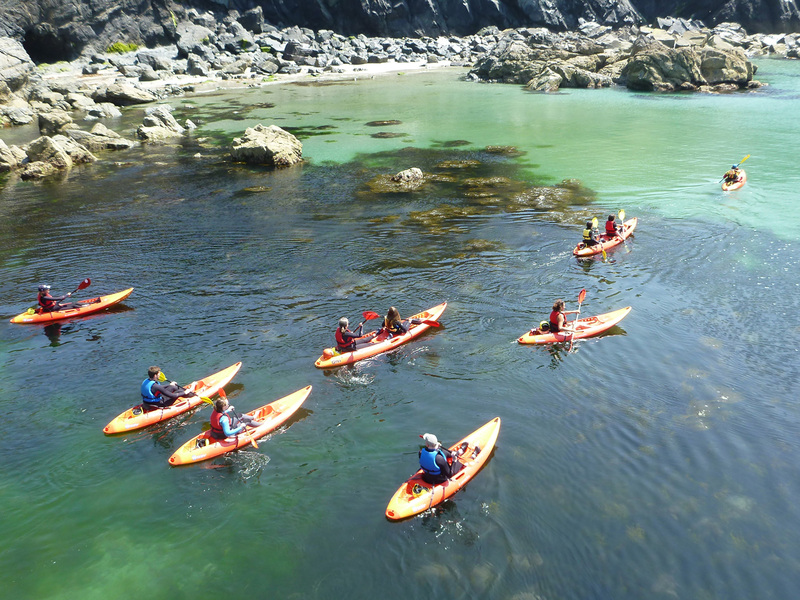 You can choose between a 3 hour sea trip on the Lizard, or go to the more sheltered Hayle Harbour for a 2 hour session. 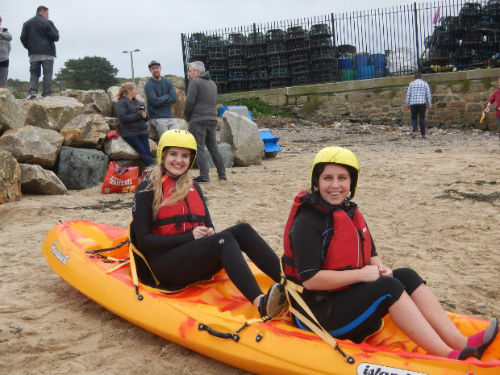 We offer more accessible kayaking adventures for those with additional needs: all types of disabilities, learning difficulties, lifestyle impairments and mental health issues. 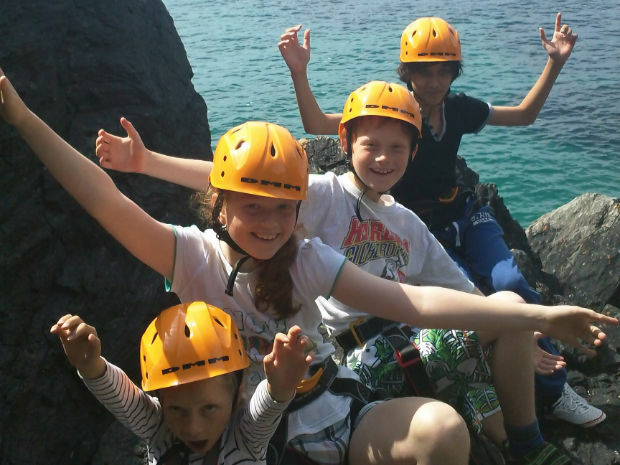 Enjoy the thrill of climbing a sheer cliff with the sea nearby and views of Kynance Cove. Utilise your whole body and mind to work your way to the top. Our expert guides will teach you the climbing and safety techniques needed when climbing on the most inspiring cliffs in the country. 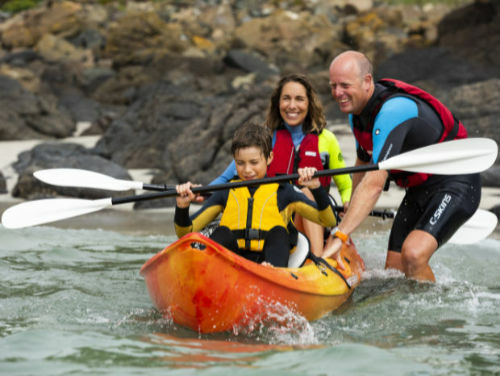 Master the skill of standing up on a board and using a paddle to glide over the water. 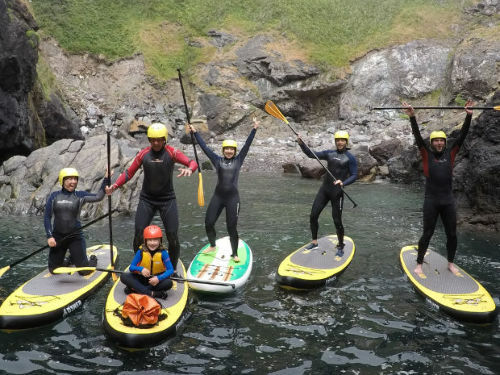 You will soon be standing and paddling around the coast, exploring caves and going through gaps. You can choose between a 3 hour sea trip on the Lizard from Cadgwith Cove, or go to the more sheltered Hayle Harbour for a 2 hour session. 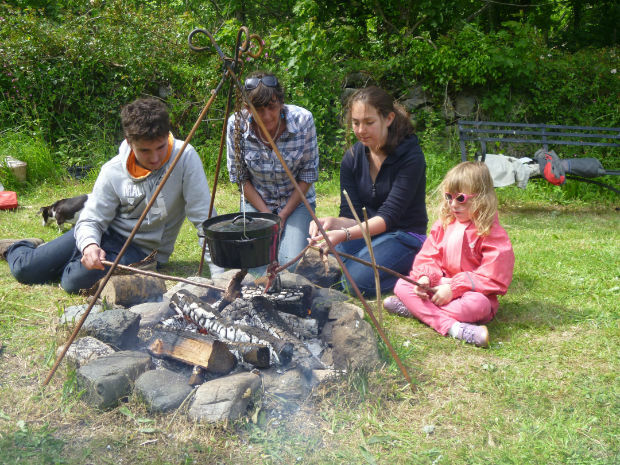 Learn how to light fires without matches, build a shelter and then go off to forage in the hedgerows and along the shoreline. You can even skin and gut rabbits (optional) and then throw it all in a pot over the fire for supper.